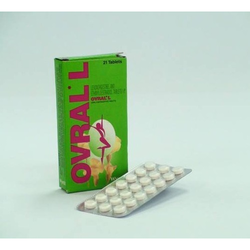 Our product range includes a wide range of i-pill, progynova tablets, depo provera, yaz birth control pills, ovral l and novelon tablets. With an aim to provide utmost satisfaction to our clients, we have been occupied in offering Rabies Veterinary Vaccines to our valuable customers. The offered Vaccine is used for treatment of rabies. These tablets are formulated at our production unit, using high grade ingredients, procured from the most authentic vendors. These are available for the clients at rock bottom prices. 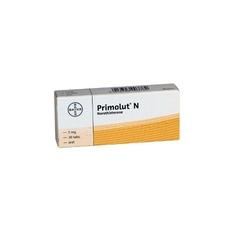 Under the guidance of our experienced professionals, we have been able to offer best quality Progynova to our valuable customers. These Injectors are processed using quality approved ingredients under the stern observation of our pharmacists. We offer these at industry-leading prices to the clients and committed to deliver a defect free product. 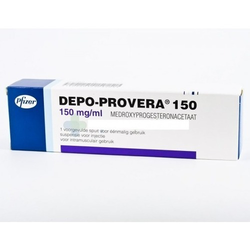 Medroxyprogesteone is used in the treatment of cancer in the breast, kidney (in men and women), in the lining of the womb (endometrial cancer), cancer which has spread to other parts of the body (metastatic cancer) in post-menopausal women (women who have stopped having their periods). 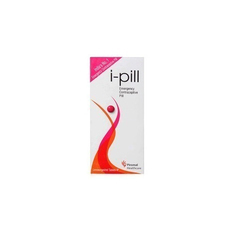 It is also used to treat conditions such as absence of menstrual periods (amenorrhea), irregular menstrual periods, abnormal uterine bleeding, decrease the risk of endometrial hyperplasia (a condition that may lead to uterine cancer) while taking estrogens and endometriosis (painful disorder in which endometrium a tissue that normally lines the inside of your uterus grows outside your uterus). It is also used as a long acting contraceptive. 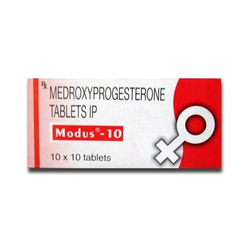 Medroxyprogesteone is one of a group of medicines called ‘progestogens’ which act like progesterone, a natural hormone. It can slow down the growth of certain tumors which are sensitive to hormones. As a contraceptive, it acts by preventing an egg being from fully developed and released from the ovaries, changes the lining of your womb and thickens the mucus at the entrance of the womb which makes pregnancy less likely to occur. Yaz is a low dose combined oral contraceptive pill and is used as an effective means of birth control to prevent unwanted pregnancy. 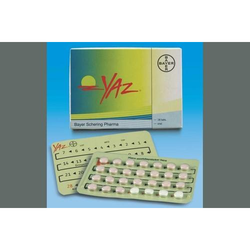 Yaz contraceptive pills contain a combination of two hormones at low doses in a single pill. Each pack of Yaz contains one month’s supply of pills (28 days) of which there are 24 hormone-containing pills and 4 placebo (non-hormonal) pills, to allow each monthly cycle to end with a withdrawal bleed. 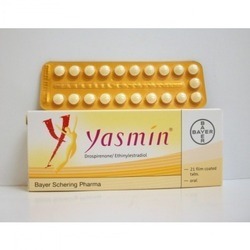 When using Yaz for contraception, you will probably find that your periods become regular and you may also experience lighter, less painful menstruation and an improvement in pre-menstrual symptoms, like bloating, swelling or weight gain related to fluid retention, also improvement in acne and reductions in greasiness of the skin and hair. 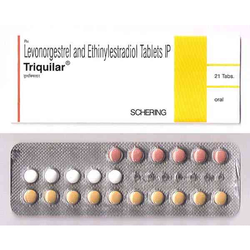 Ovral L contains Levonorgestrel 0.13mg Ethinulestradiol 0.15mg Contraception. Combination oral contraceptives inhibits ovulation, other alterations include changes in the cervical mucus and changes in the endometrium (which reduce the likelihood of implantation). They reduce penetration if ovulation does occur by altering the cervical mucus; cause changes in the endometrium which reduce the risk of nidation and may change the tubal transport of the ova through the fallopian tubes. 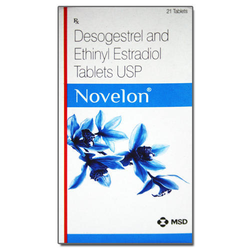 Novelon contains Desogestrel 0.13mg & Ethinulestradiol 0.03mg. Novelon is used to stop pregnancy. 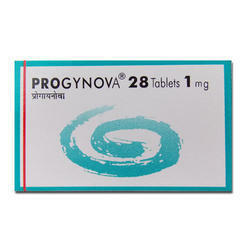 It is used to control monthly period (menstrual) cycle. 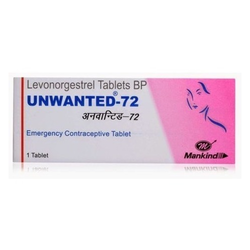 We are offering Unwanted-72 Capsule to our client. We are offering Triquilar Tablet to our client. We are offering Norethisterone Tablet to our client. 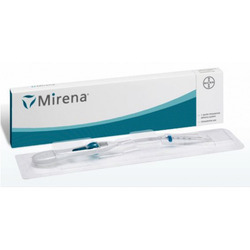 We are offering Mirena Tablet to our client. 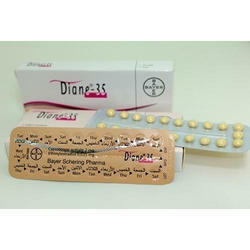 We are offering Diane Tablet to our client. 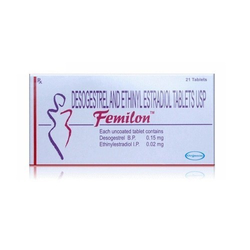 We are offering Femilon Tablet to our client. We are offering Modus Tablets to our client. We are offering Birth Control Pills to our client. 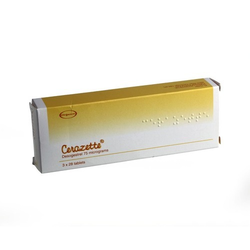 We are offering Cerazette Tablet to our client.